King Cormac Mac Art (reigned AD 204 – 244) is considered to have been the 116th Ard-Ri [High King] of Ireland who ruled for 40 years from the Royal palace on the Hill of Tara, located on the eastern edge of Ireland’s Central Plain. The Annals of Clonmacnoise, written centuries after his time; and drawing on a huge volume of legends and stories that were circulated and were added to after his death, glowingly described Cormac’s reign: “absolutely the best king that ever reigned in Ireland before himself; wise, learned, valiant and mild, not given causelessly to be bloody as many of his ancestors were, he reigned majestically and magnificently”. He was known as Cormac Ulfhada (Cormac Longbeard); an epithet that denoted not just his facial hair but also his great wisdom and statecraft as King of Meath and Ard-Ri [High King] of all Ireland. His reign is associated with the great wealth that accrued to his own, as well as the other four kingdoms of Ireland (Ulaidh [Ulster], Mumhan [Munster], Laighin [Leinster] and Connacht), over which he ruled for 40 years. “In his reign the rivers of Ireland were overflowing with fish, forests were difficult to travel due to the amount of fruit on the trees, and the plains were difficult to travel because of all the honey. Peace reigned supreme, crops grew copiously and cows had a massive milk yield”. High praise indeed; but who was Cormac Mac Airt? There is a rich body of colourful legends surrounding all aspects of Cormac’s life, including his parentage, and how he came into the world. 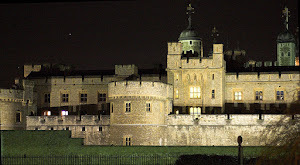 Some of these began to grow during his lifetime, but the more colourful ones probably developed in the centuries after his death, with a view to enhance not just his reputation, but by extension to help validate the ruling dynasty he left behind him, by imbuing them with possible magical (and ultimately political) power and significance in the eyes of their subjects – and more importantly their rivals. There are far too many stories and legends about Cormac MacArt to mention here. Cormac’s grandfather was King Conn, known as Conn Cetchatrach [Conn of the Hundred Battles]. His father was King Art MacCuinn (Art son of Conn). His mother was Achtan, daughter of the druid Olc Achta from the western province of Connacht. Accounts say that as a baby he was carried off by a she-wolf and raised with her cubs in the caves of Kesh in Sligo on Irelkand’s western shore. (Could this story be the Irish/Celtic version of the Roman, Romulus and Remus? - Though Ireland never came under the rule or influence of the Roman Empire as neighbouring Britain was). In any event, and happily for Cormac, a hunter eventually found the child and restored him to his mother much to her relief and happiness. The birth and carrying off by the wolf happened after his mother had to flee from Tara after King Art had been killed by his uncle Lugaidh Lama who was allied to another Lugaidh, a cousin of Cormac’s, who usurped the High Kingship of Tara. No doubt, this Lugaidh dearly wanted to eliminate the baby Cormac thereby removing another rival to his own and successors’ hold on the throne. 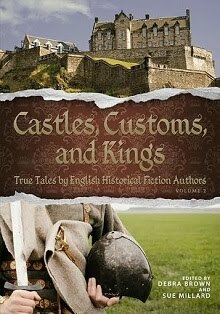 Because of this, Cormac spent the first 30 years of his life in hiding with his mother’s people in Connacht, where he learned of his royal parentage and title which he determined to win back when he grew to manhood. 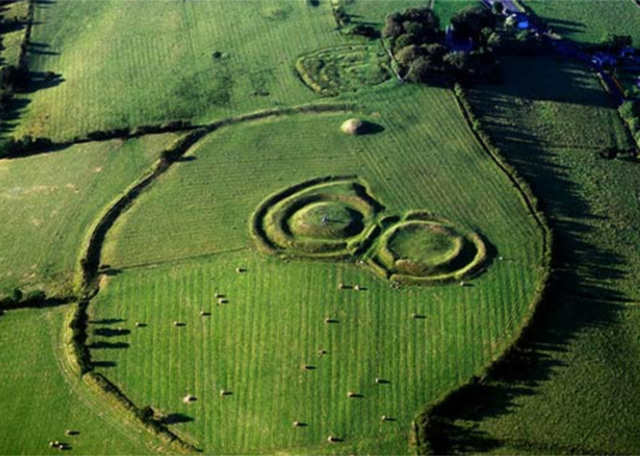 Aerial view of Cormac's house enclosure at Tara (right). The royal court (with Lia Fall) is behind (left). 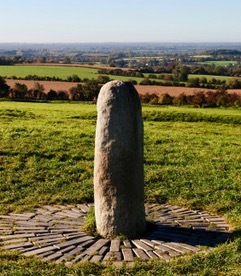 There are legends about Cormac’s ousting of Lugaidh after he had girded himself with his dead father’s sword and made his way to the royal palace on the Hill of Tara and the court of his cousin King Lugaidh. On arrival in disguise at Tara, Cormac was present as Lugaidh was delivering judgement about a widow’s sheep, that had strayed into the queen's private lawn, and eaten the grass. The sheep had been impounded, and the case brought before the king for his ruling on the trespass, which was that the offending sheep should be forfeit. Cormac objected to what he considered an unjust verdict, by telling the assembly that as the sheep had only eaten the “fleece of the land”, they should only forfeit their own fleeces before being returned to the widow. Lugaidh was forced to recognise a superior judgement from the young stranger and exclaimed “That is a judgement of a king”. After saying this, he immediately recognised Cormac for who he was and gave orders to have him arrested. Cormac escaped and gathered an alliance to challenge Lugaidh for the throne. to magically proclaim the rightful king of Tara. No doubt, Cormac’s youth and manly bearing as described by bards of his own and subsequent generations of the first millennium; may have been a deciding factor in how he so quickly found favour in “Tara’s Halls”. How much would a celebrity of any era pay to have the following bardic words written about them “in the full glow of beauty, without defect or blemish”. "His hair was slightly curled, and of golden colour: a scarlet shield with engraved devices, and golden hooks, and clasps of silver: a wide-folding purple cloak on him, with a gem-set gold brooch over his breast; a gold torque around his neck; a white-collared shirt, embroidered with gold, upon him; a girdle with golden buckles, and studded with precious stones, around him; two golden net-work sandals with golden buckles upon him; two spears with golden sockets, and many red bronze rivets in his hand; while he stood in the full glow of beauty, without defect or blemish. You would think it was a shower of pearls that were set in his mouth; his lips were rubies; his symmetrical body was as white as snow; his cheek was like the mountain ash-berry; his eyes were like the sloe; his brows and eye-lashes were like the sheen of a blue-black lance." Cormac was successful in ousting Lugaidh, for there were many who had grown tired of him and were ready to recognise the lost heir of King Art as the rightful King of Tara. Lugaidh fled south to Munster where he was killed by the poet Ferches MacCommain, thereby leaving the way open for Cormac to claim his birth-right. Cormac had more fighting to do before he could sit securely on the throne. The next challenger was Fergus Dubdetach, king of Ulster who attacked Tara and forced Cormac to again retreat into Connacht to mount his fightback. 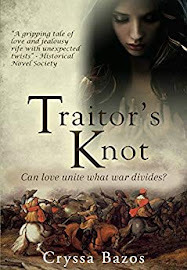 Again he gathered a formidable alliance which included many of his own kinsmen among whom was Lugaidh Lama, his grand-uncle who admitted to having killed Cormac’s father at the Battle of Maigh Mucruime when Cormac was a baby. Cormac forgave his granduncle but imposed as eraic (penalty) that Lugaidh should present him with the head of Fergus, the latest usurper in his battle for the throne. The issue was finally settled at the battle of Crinna where Fergus was killed, giving Cormac undisputed claim to Tara and the accompanying title of Ard-Ri (High King) of Ireland. His victory allowed him to award huge tracts of Ulster territory to his allies. 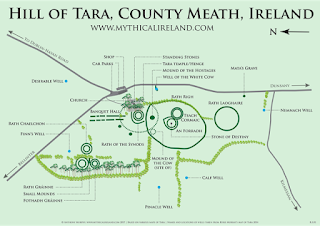 Cormac then needed to proceed to exert the High Kingship of Tara over the other provincial kingdoms of Ireland, which of course brought him into conflict with them. This meant that Ireland had to endure a further period of disturbance while Cormac restored the hegemony of Meath among the five kingdoms. 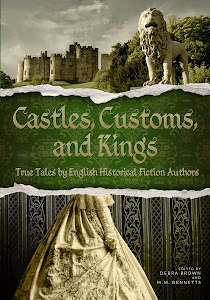 With all claims and titles settled, there followed a long period of peace and prosperity which allowed Cormac to devote his kingship to legal and cultural pursuits. 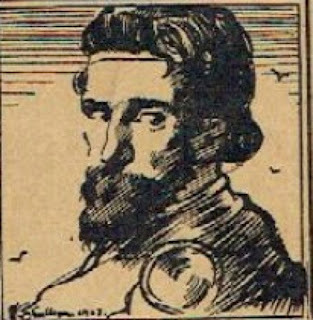 He is credited with formulating and codifying the laws of the land (called Brehon laws), most of which endured until the middle of the second millennium and contained many enlightened principles and elements on gender equality and equitable property and inheritance rights, which were arguably well in advance of what was evolving across Europe of Cormac’s time. On the cultural front, Cormac is credited with the compilation of Saltair Teamhair [Psalter of Tara]; a collection, possibly the first of its kind; of the chronicles of Ireland containing the exploits and synchronisms of the kings of Ireland. The Saltair also stipulated the limits of rights and responsibilities of provincial kings towards the High King and to their subjects. 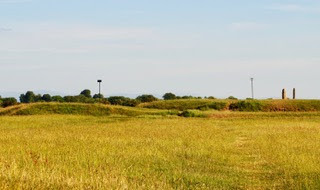 The Saltair predated by almost a millennium, William the Conquerer’s Domesday Book in the neighbouring island of England in recording “the boundaries and mears of Ireland from shore to shore, from the provinces to the cantred, from the cantred to the townland, from the townland to the traighedh of land”. The Saltair has not survived, though an extract from it, the “Instructions of Kings” did. It became established practice to read this at the inauguration of all Irish Kings and Chieftains for over thirteen hundred years after Cormac’s time. and with a half-fine wrong done in ignorance. Cormac also established 3 schools at Tara – for military discipline, for history and a third for jurisprudence. Cormac married Eithne Taebfada daughter of Cathair Mór, daughter of Dúnlaing, King of Leinster. According to the 17th century historian Keating, Cormac took a second wife, Ciarnait, daughter of the king of the Cruthin. Eithne out of jealousy of her rival’s beauty, forced Ciarnait to grind nine measures of grain each day. 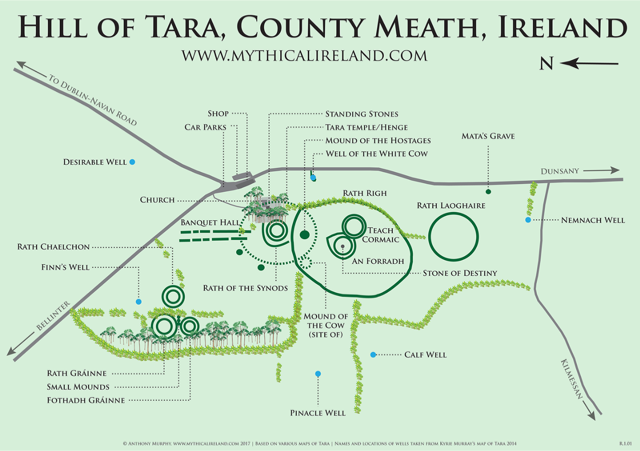 Cormac freed her from this “daily grind” by building what is reputed to be the first watermill in Ireland at Tara. Cormac’s marriages were blessed with 3 sons; Daire, Cellach and Cairbre; and ten daughters; two of whom Grainne and Ailbe, married the famed hero Fionn MacCumhaill, leader of the band of soldiers called “na Fianna”. Grainne was betrothed to Fionn but chose to elope with another younger member of na Fianna, Diarmuid (Dermot) ua Duibhne. A reconciliation was made between Fionn and Diarmuid, but the story goes that Fionn contrived Diarmuid’ s death during a boar hunt, for which he was subsequently forced by his own son Oisin to atone by marrying the widowed Grainne. This resulted in Grainne persuading her sons by Diarmuid not to take revenge on Fionn for their father’s death. Site of Cormac's House at Tara (on left). In the fourteenth year of his reign Cormac is reputed to have made sail with a force to Roman Britain to make some conquests there. (This could have been the start of raids into western Britain, with the object of capturing slaves to work in Ireland; as was the case of St Patrick, who was abducted as a boy to spend years herding pigs on Slieve Mish in Antrim over a century later). After 40 years, Cormac’s reign came to an end after he had lost an eye in one of seven battles he had with the recalcitrant Deisi tribe who he was expelling from his kingdom. Under Irish law, no king with a physical defect could continue to rule, so Cormac ceded the throne to his son Cairbre and moved to Teach Cleitig [now a townland called Sletty] on the southern bank of the River Boyne. Here he devoted himself to reading and matters cultural and, according to legend, heard of the new Christian religion that had by then taken hold on Continental Europe and Britain, but had yet to reach Ireland’s shores. According to that legend he lost all faith in the ancient gods and deities as practised by the druids, who expressed serious concern over the old king’s “heresy”. They cursed Cormac “in his flesh and bones, in his waking and sleeping, in his down-sitting and his uprising” weaving “mighty spells against his life”. Not long after, the curse would seem to have had its way when Cormac choked on a salmon bone as he sat eating in his house at Sletty on the Boyne. He was to have the final say when before he died, he instructed that he should not be buried at the traditional burial place for Irish kings at Bru na Boinne on the northern side of the river, but at Ross na Righ where there is a sunny eastward sloping hill to “await the coming (from the East) of the sun of truth” (= Christianity). When the time came for his burial, the druids along with most of the nobles, tried to frustrate this last instruction of what they considered an old man who had lost his mind saying that “Ross na Righ is but a green hill of no note”. The river Boyne took a hand in the affair and rose in height so that the funeral cortege could not cross at a shallow ford due to suddenly rising water driven by a tempest which forced them back, not once but three times. Finally they handpicked a party of tall bearers to brave the crossing with the bier. In mid-stream a surge of water overcame them and bore the bier away towards the sea. On the following morning some shepherds found the bier and the king’s body washed up on the south side of the river, and not knowing who the body with noble bearing belonged to, simply buried Cormac where they found him – at Ross na Righ, laying green sods over him at a place where he still sleeps. Samuel Ferguson describes the simple burial of Ireland’s greatest High King on “a green hill of no note” to “wait the risen sun”. The dawn delays with tenderer beam. For still 'tis only dawning day. 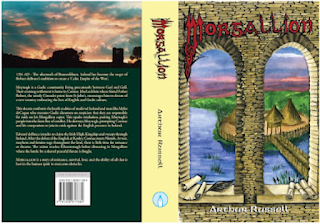 Arthur Russell is the author of Morgallion, a novel set in medieval Ireland during the Invasion of Ireland in 1314 by the Scottish army led by Edward deBruce, the last crowned King of Ireland (a Medieval “what if moment” in Irish history). It tells the story of Cormac MacLochlainn, a young man from the Gaelic crannóg community of Moynagh and how he, his family and neighbours endured and survived that turbulent period of history. 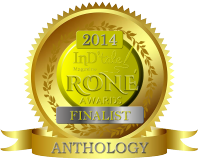 Morgallion has been awarded the indieBRAG Medallion. What an interesting read, thank you! Great post. I loved the ending.